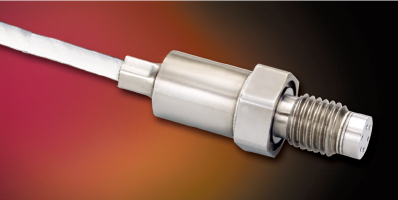 The ETL-GTS Series are high temperature, extremely rugged pressure transducers which are ideal for the measurement of instabilities and steady pressures in gas turbine combustors and compressors. They use a patented acceleration insensitive leadless sensing element that is more than 1000 times less sensitive to vibration than other Kulite transducers. The front of the transducers can withstand temperatures of 932°F (500°C)* while the in-line amplifier can be placed in a cooler area. The amplifier is compatible with both existing and new data acquisition systems with a measurement bandwidth of up to 150KHz, specified by Option *.